Setting yet another milestone, the Indian Space Research Organisation (ISRO) finally successfully launched its high thrust cryogenic engine, GSLV Mk III – its biggest launch in 30 years. The Indian Space Research Organisation (ISRO) successfully launched its GSLV Mk III vehicle from Sriharikota, Andhra Pradesh. The launch marked the official success of the high thrust cryogenic engine, as a part of its first developmental flight, making it ISRO’s biggest launch in 30 years. The D1 mission was declared a success after the rocket injected the GSAT-19 satellite it was carrying into a geostationary orbit. GSAT-19 carries Ka- and Ku-band transponders, as well as an indigenous lithium-ion battery and an instrument called the Geostationary Radiation Spectrometer (GRASP). According to ISRO, GRASP will “monitor and study the nature of charged particles and the influence of space radiation on satellites and their electronic components”. The satellite weighed 3,136 kg at launch. The Mk III is a three-stage rocket. The first stage comprises two solid-fuel motors called the S200. The second stage is the liquid-fuel powered L110 engine. The third stage is the CE20 cryogenic engine (alternatively, the C25 cryogenic stage). The CE20 engine combusts liquid hydrogen and liquid oxygen to generate almost 200 kN of thrust. 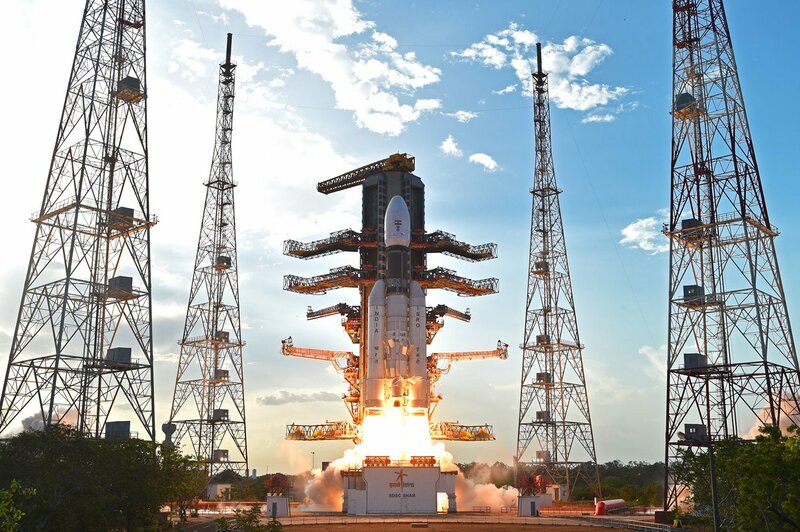 Comparatively, The MkII variant of the GSLV is not independently indigenous. The organisation has clearly stated its plans to launch two Mk II missions every year. This goal is inclusive of its target of launching 12 missions a year overall (i.e. including the Polar Satellite Launch Vehicle’s missions) by 2020. Three launches were earmarked for June 2017 alone: after today’s Mk III launch, ISRO will launch a Cartosat-2 series satellite (onboard the PSLV C38 mission) on June 23 and then the GSAT-17 satellite on June 28. The GSAT-17 will be launched by an Ariane 5 rocket from French Guiana. To maintain feasibility, ISRO has devised projects to make future launches cost-effective. A good weather forecast for Indian Space industry?